If you’re as addicted to house tours and sumptuous slide shows as I am, you’re in for a real treat with this one. 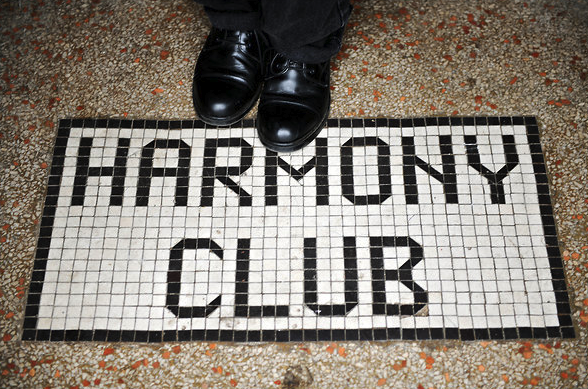 The New York Times featured this slideshow of the former Harmony Club in Selma, Alabama. Under continuing restoration by its current owner for his private residence, the building has cavernous rooms that the owner is striving to leave as untouched as possible. It’s much more wabi-sabi than it is feng shui although the name “Harmony Club” has a very nice ch’i energy to it that I’m sure will resonate good luck. I think what’s fascinating me about this space is just that: space. Uncluttered, unfettered, unlimited space. I’m lovin’ it! And I hope the NYT does not mind I lifted their photo here in order to promote their slideshow. Enjoy!